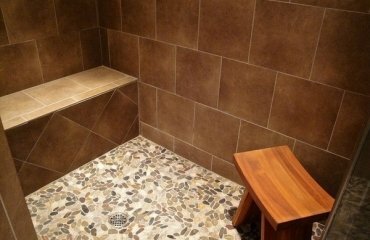 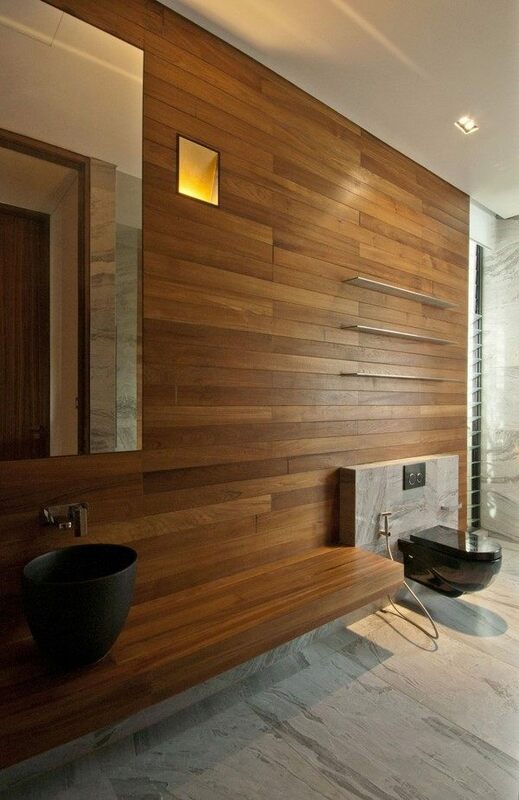 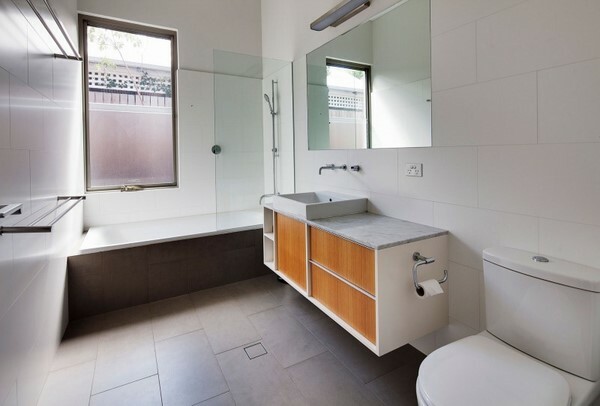 The bathroom, whether small or large, should be a place to relax. 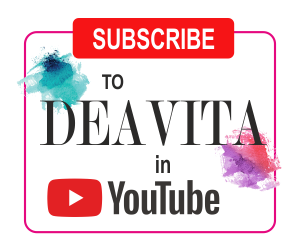 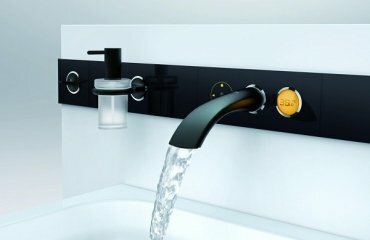 And for its design you need a brilliant idea. 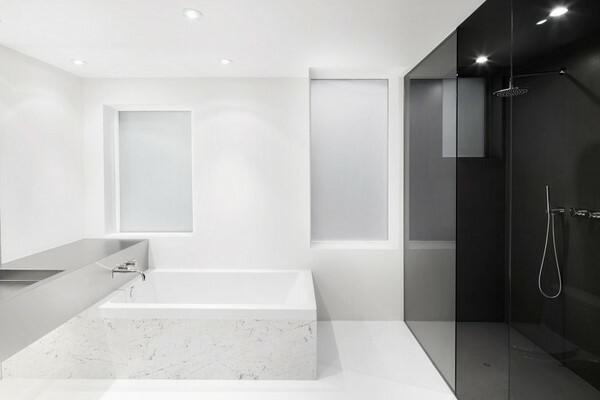 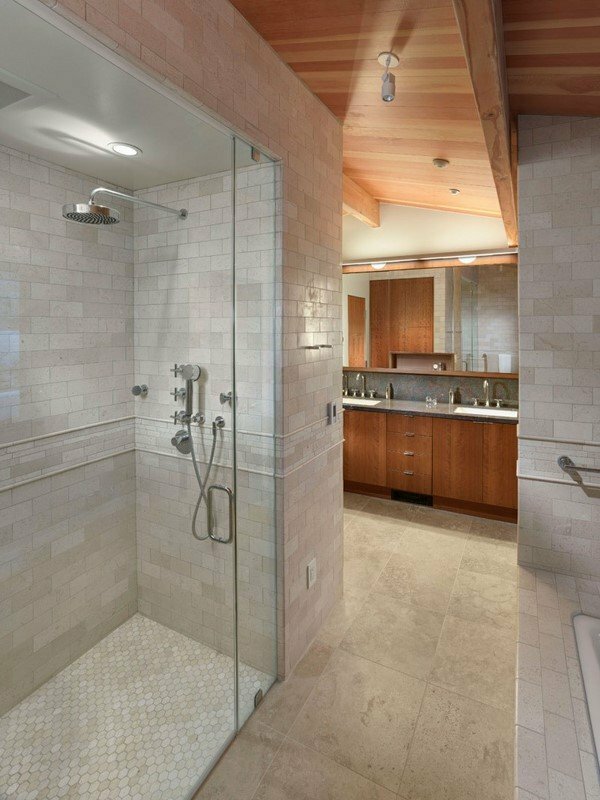 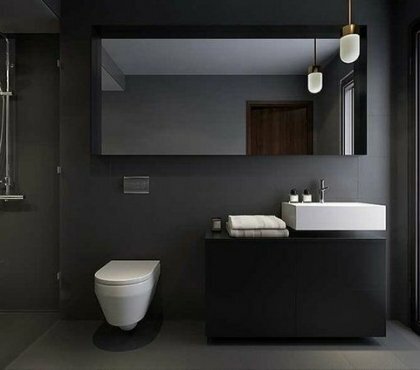 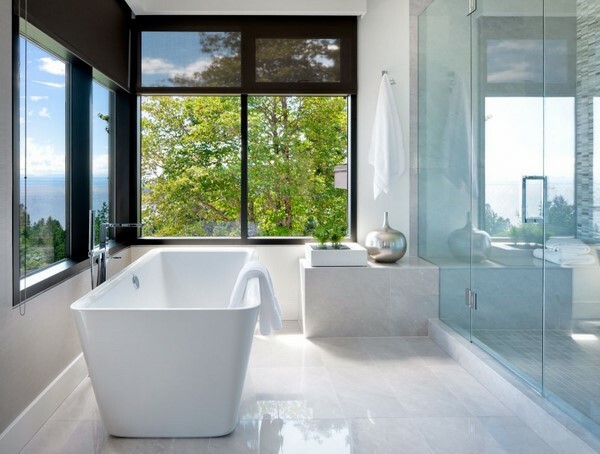 Clear forms, fine materials and a comforting color palette characterize these 85 stunning modern bathroom design ideas that we have put together in a large collection. 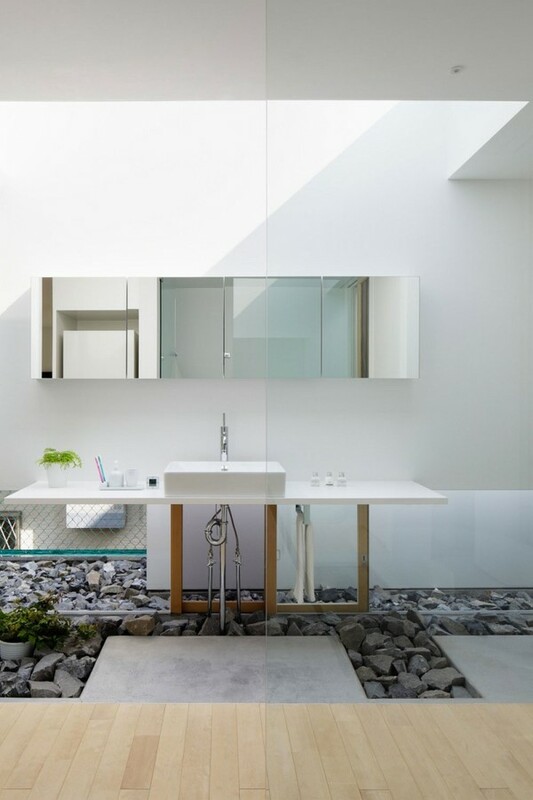 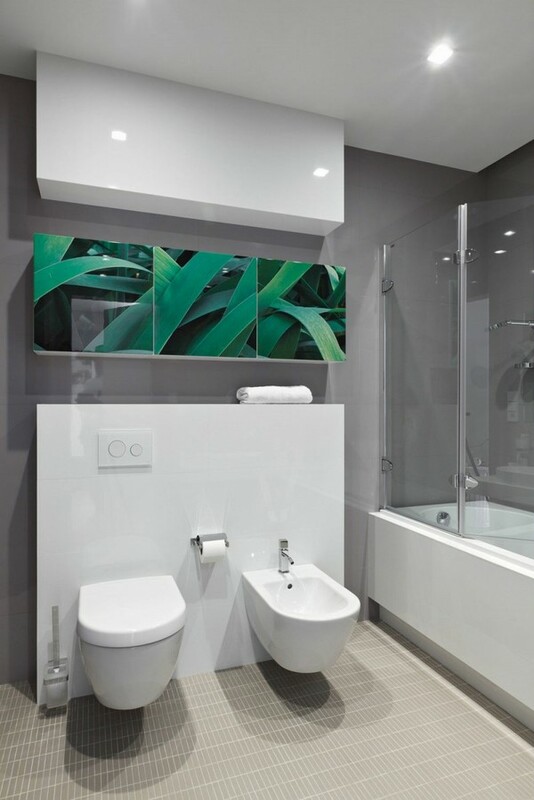 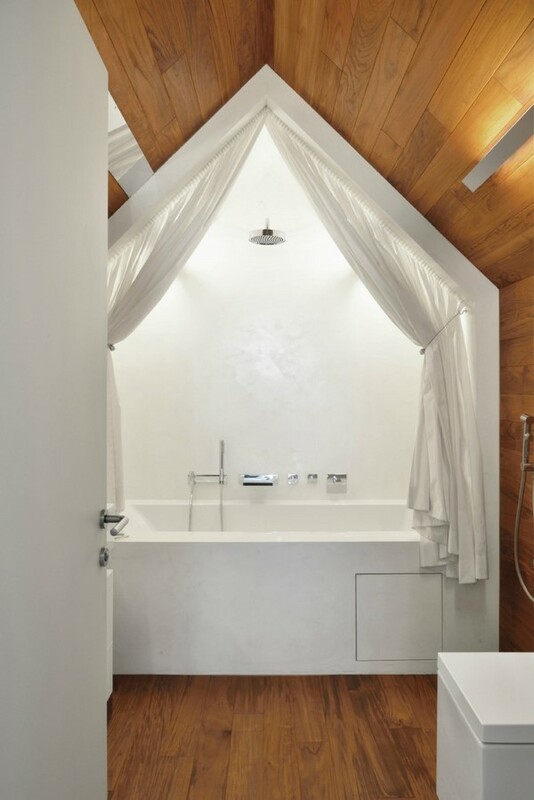 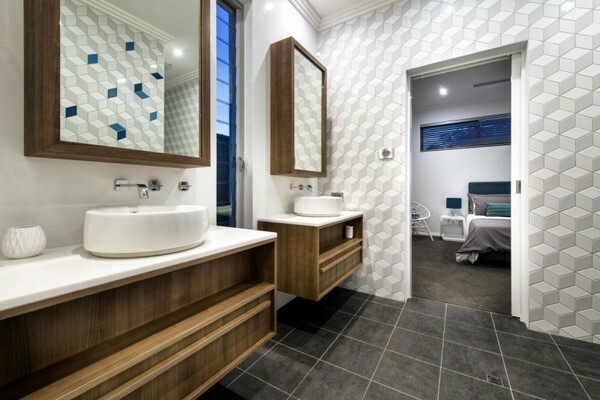 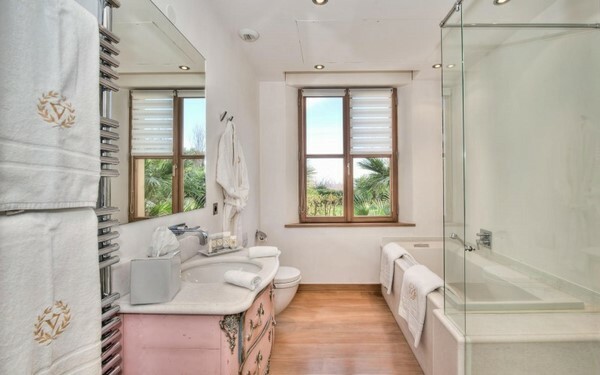 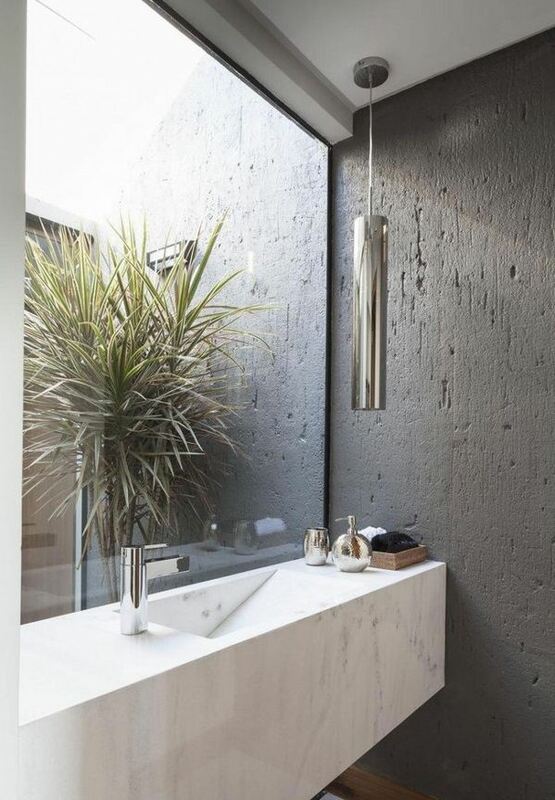 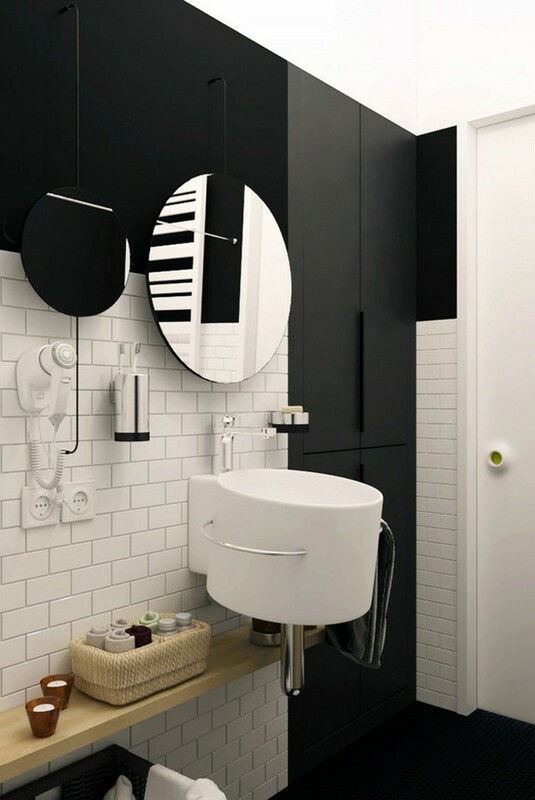 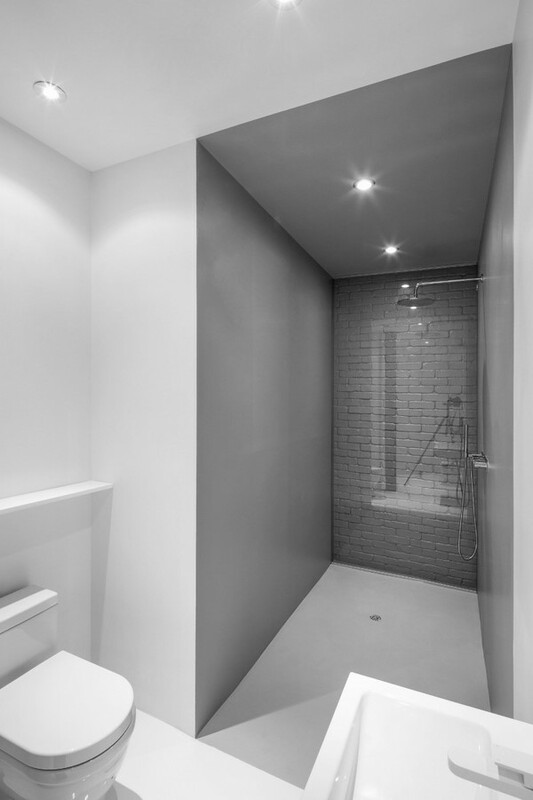 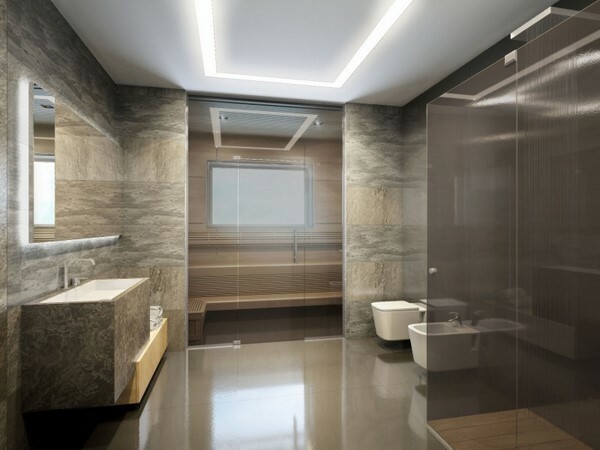 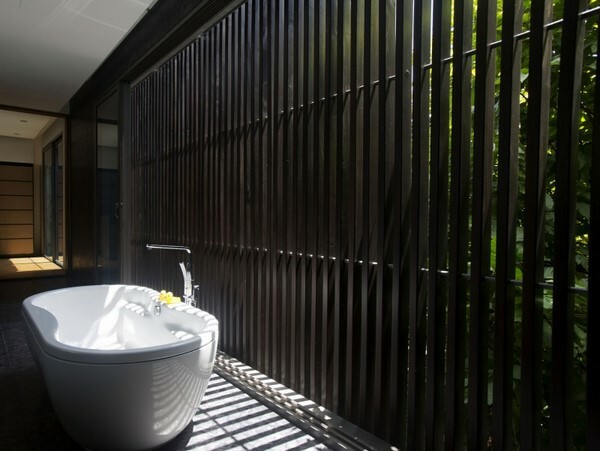 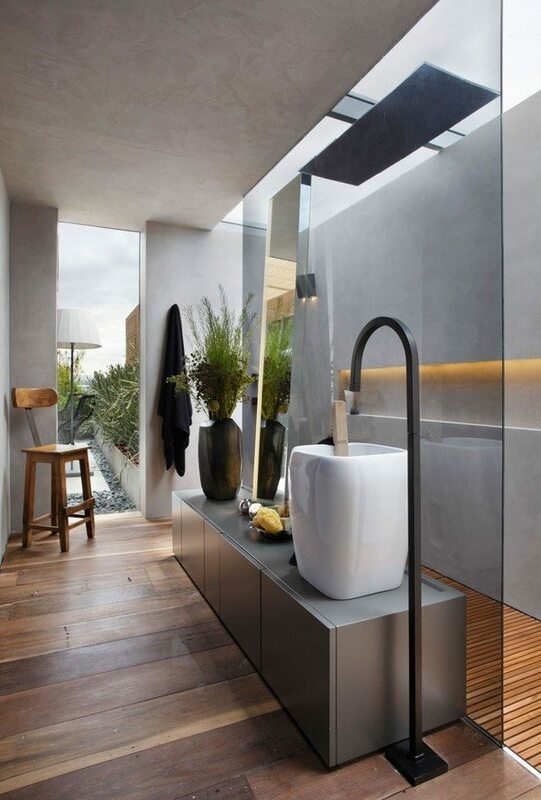 Bathroom design ideas, inspired by nature, are becoming more and more popular as they create a sense of comfort and peacefulness between our own four walls. 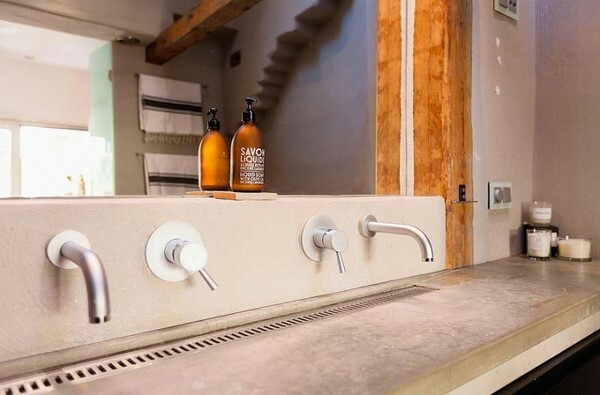 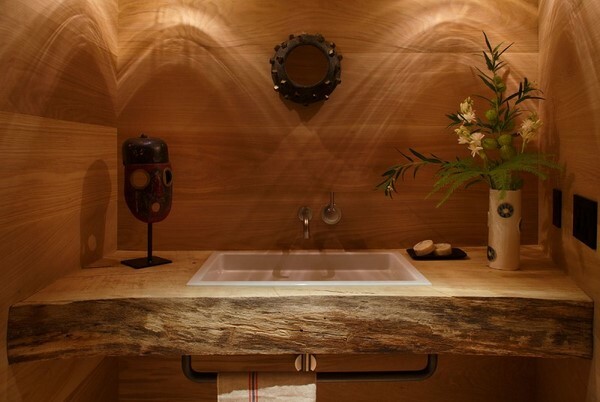 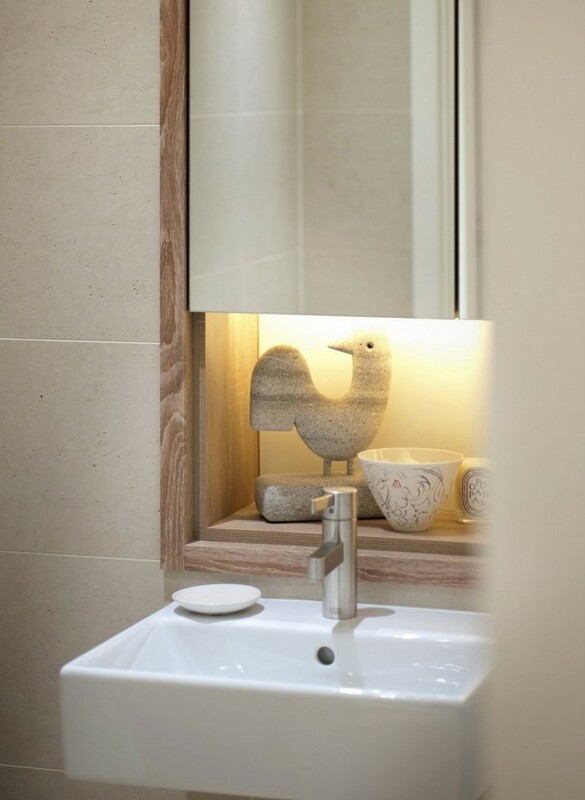 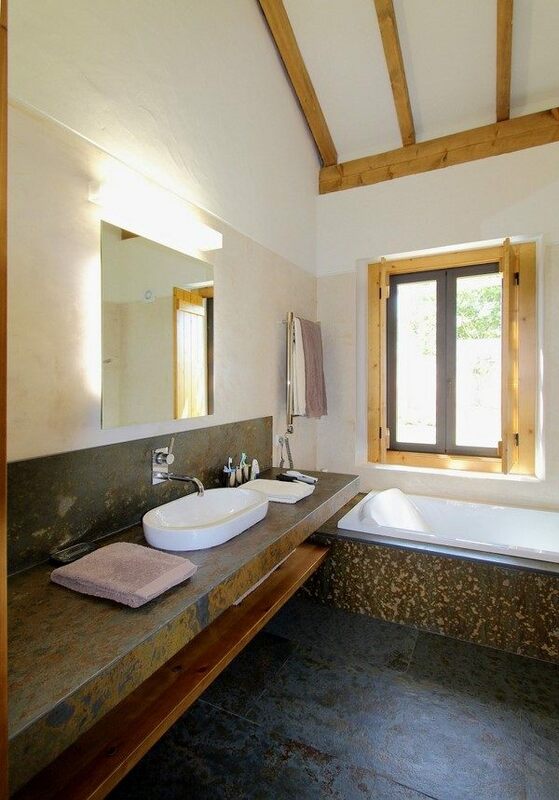 Solid wood, natural stone, gravel and plants, all of which are associated with nature and find their place in the contemporary dream bathrooms. 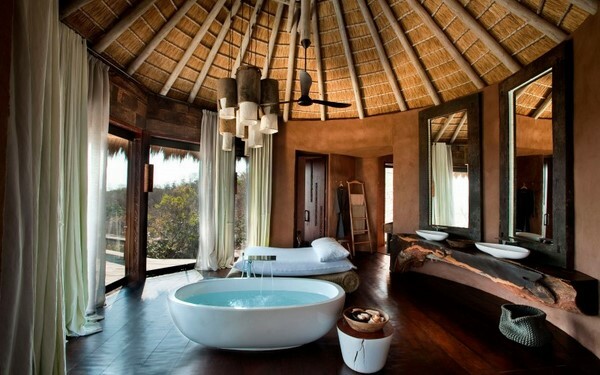 Nature inspired interiors are a most desired retreat after a long day. 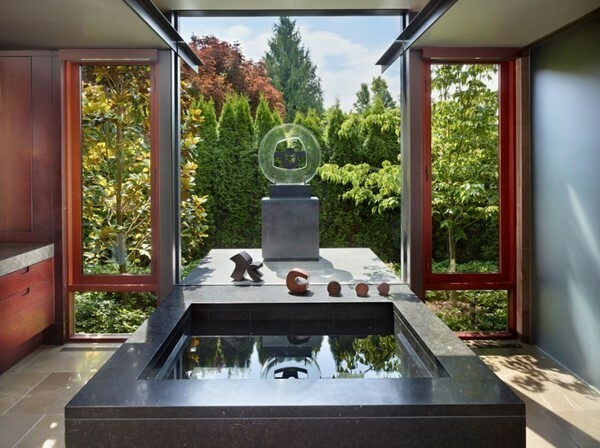 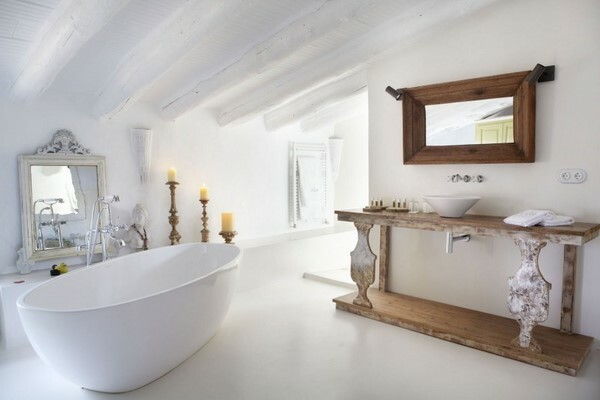 They have a simple and striking look and incredible atmosphere of tranquility. 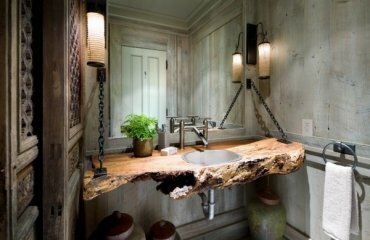 The color palette features the soft neutral colors of stone, wood, and metal. 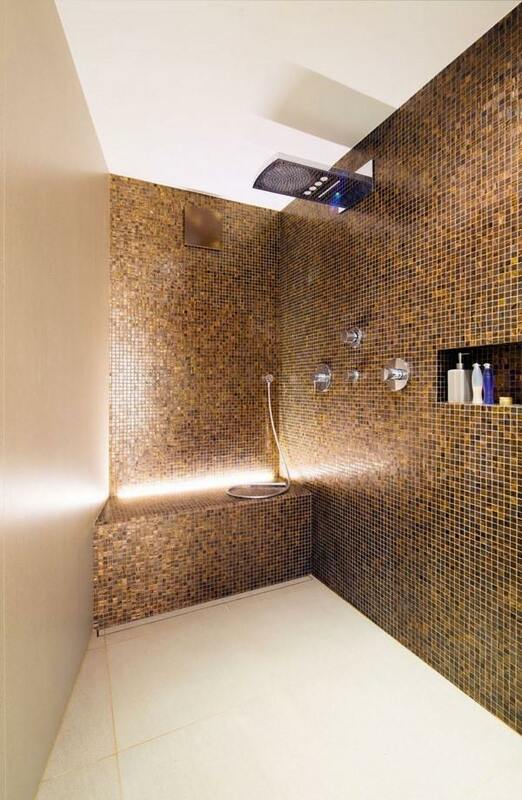 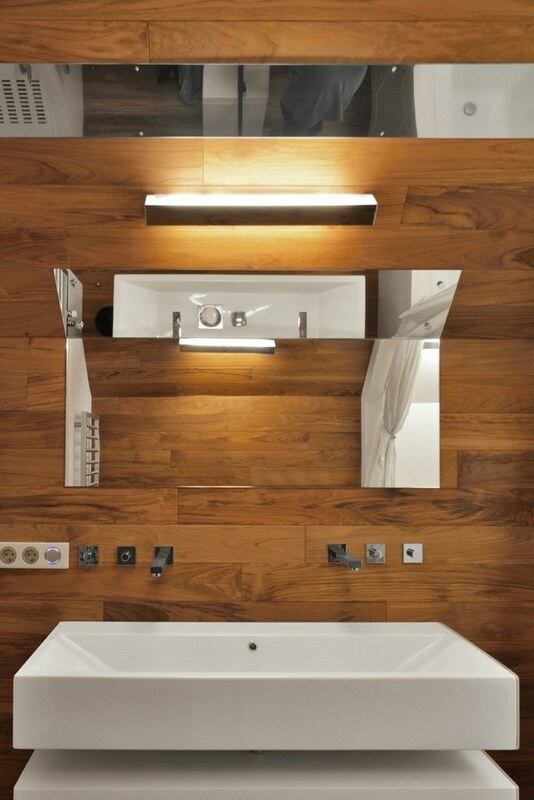 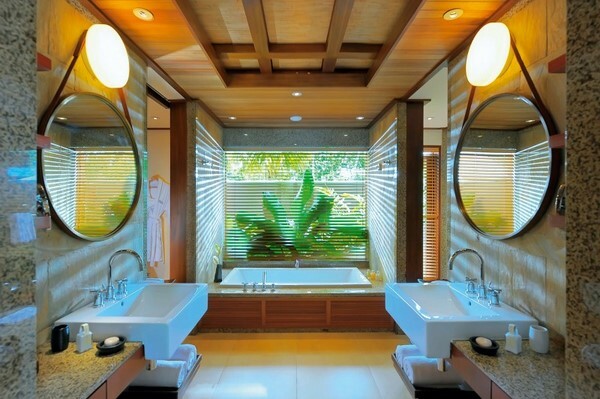 With the right lighting and accessories such a bathroom becomes a private spa with an ambience of a luxurious five-star hotel. 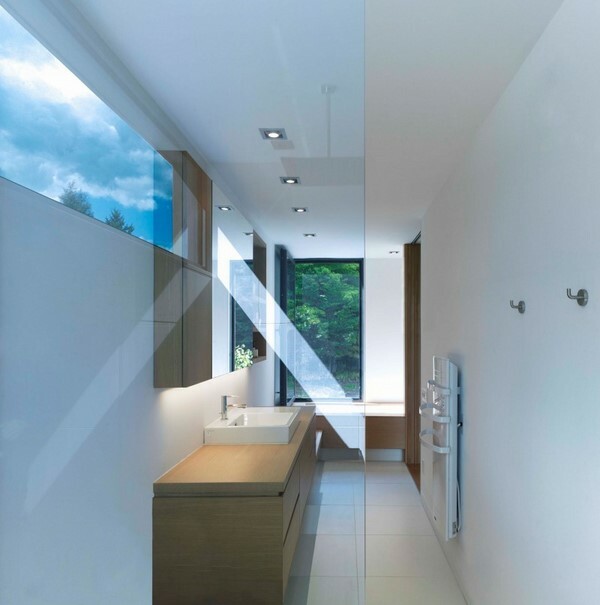 Skylights that let in the sun’s rays into the room, and large windows that overlook the city or a forest landscape, are also often seen in this gallery. 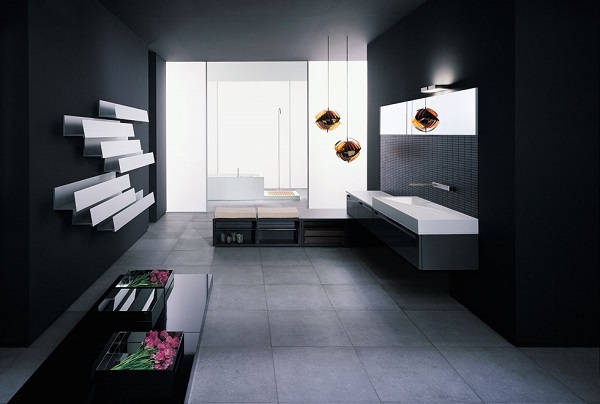 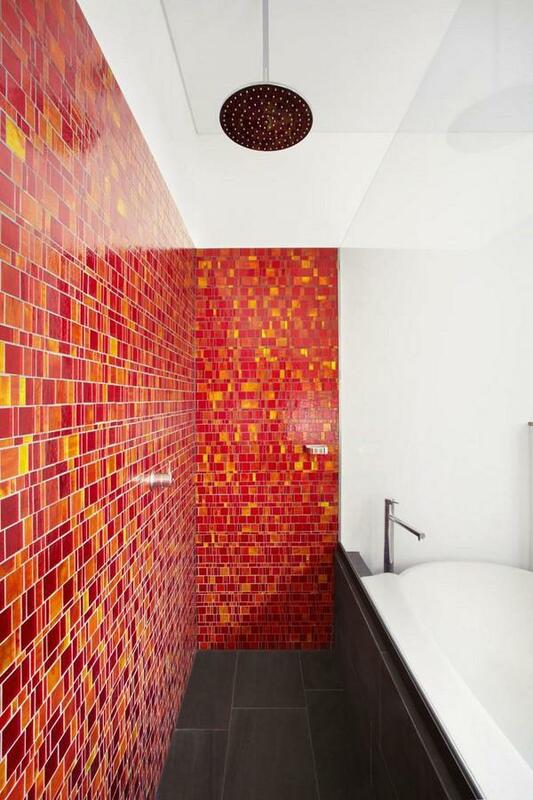 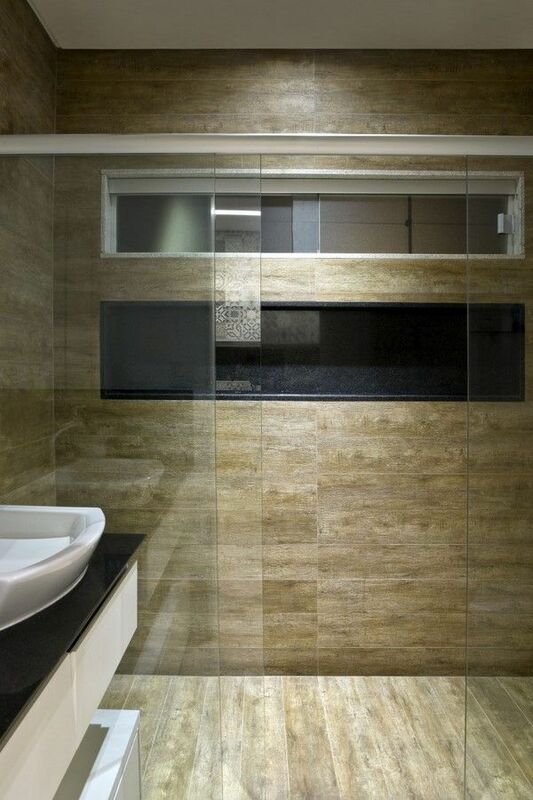 With tiles you can emphasize a particular area or create beautiful wall decorations. 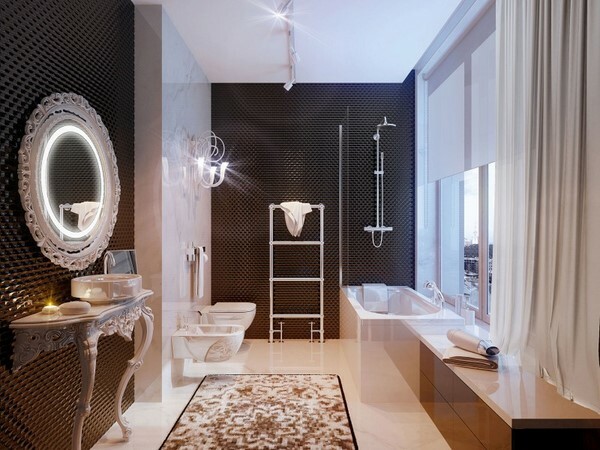 You will find a wide selection of colors and textures in the market, so the decision could be difficult. 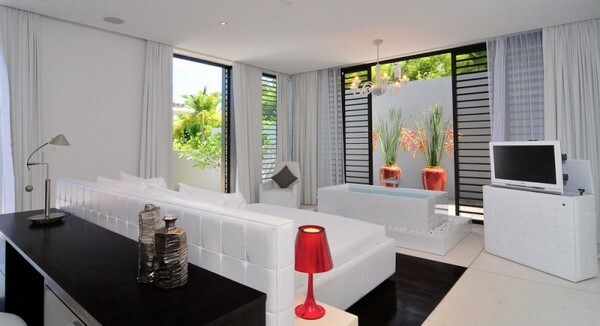 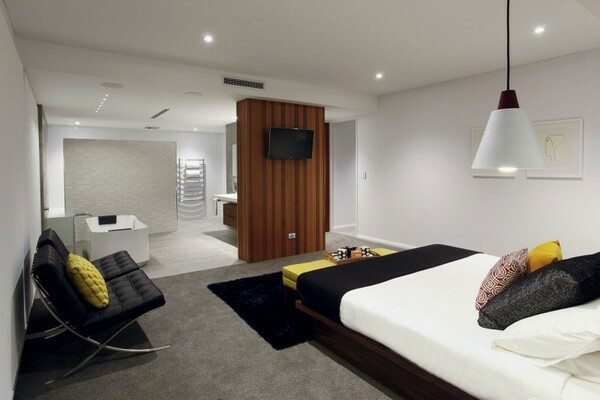 The furniture and lighting are still an essential element which adds to the overall atmosphere of comfort. 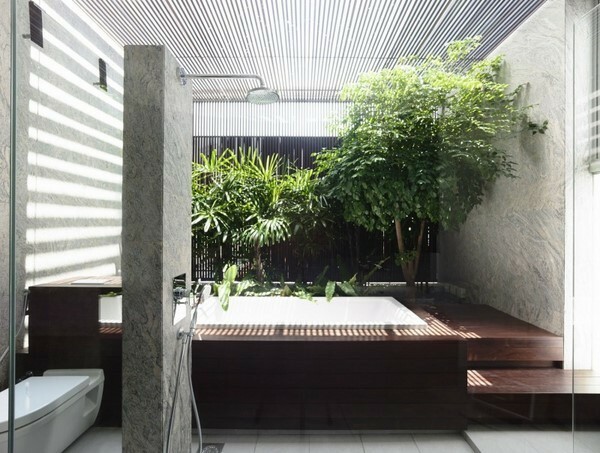 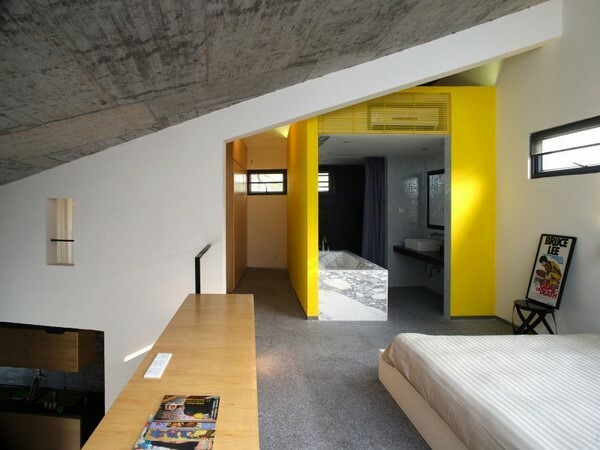 Lighting is essential in the design. 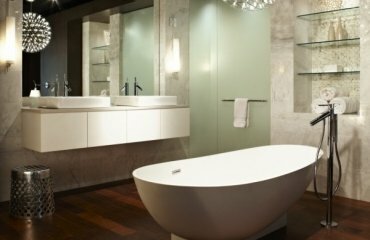 Besides the practical function, the proper lighting can set the mood and the atmosphere and add to the pleasure of your experience. 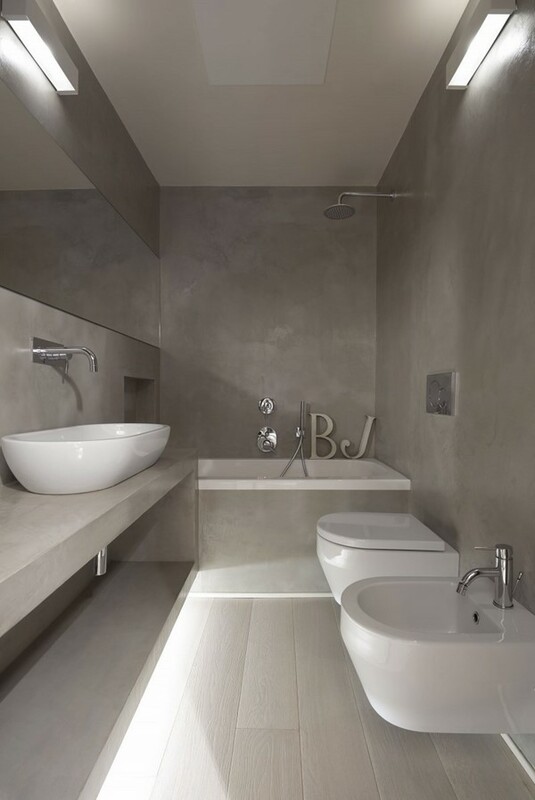 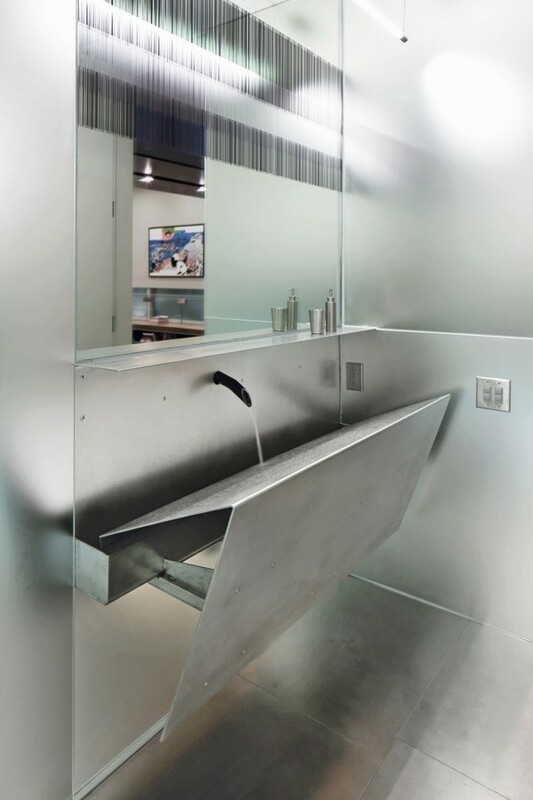 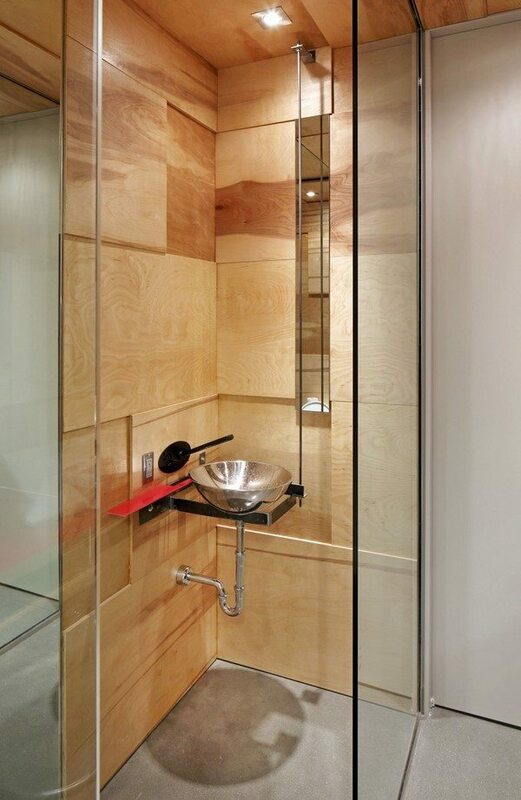 Use it to highlight different areas in the bathroom, for example – the bathtub area or the vanity cabinet. 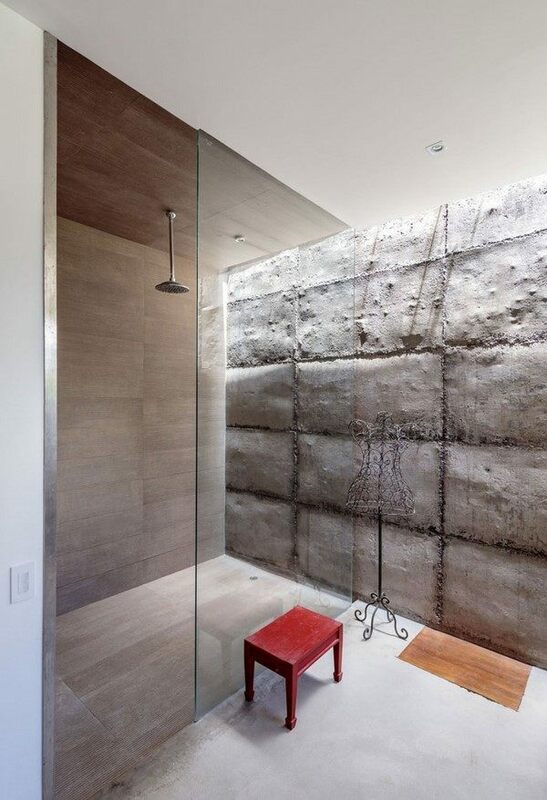 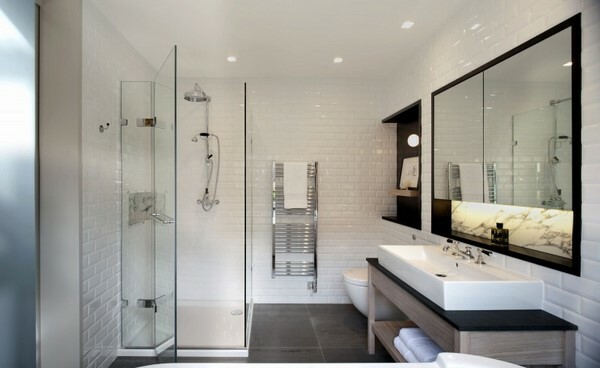 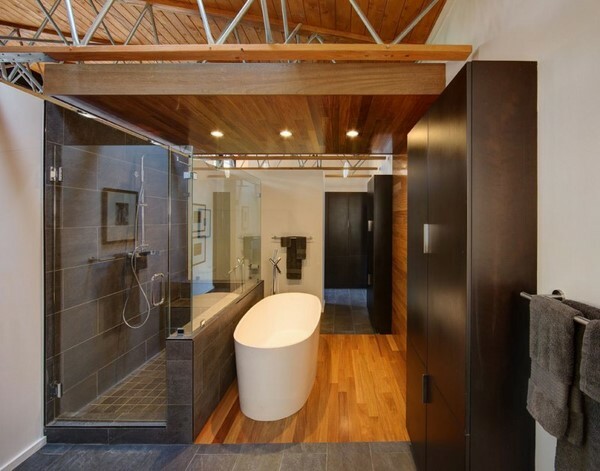 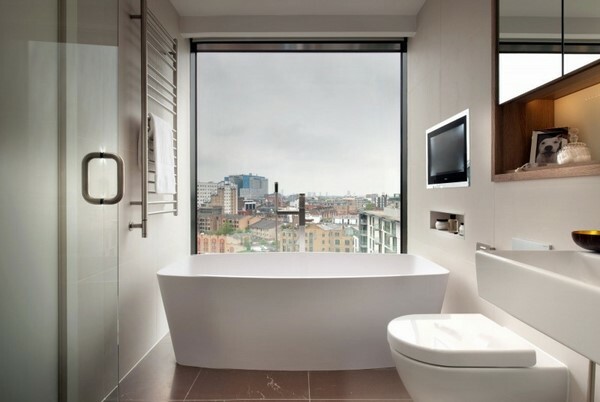 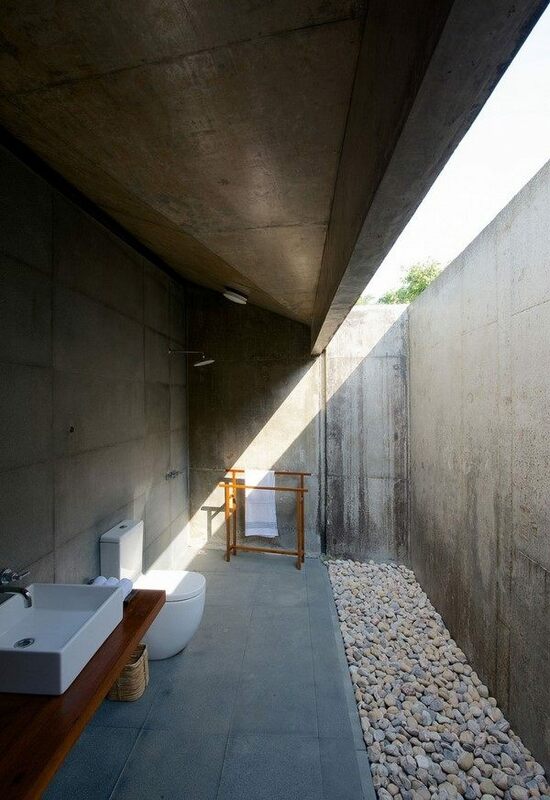 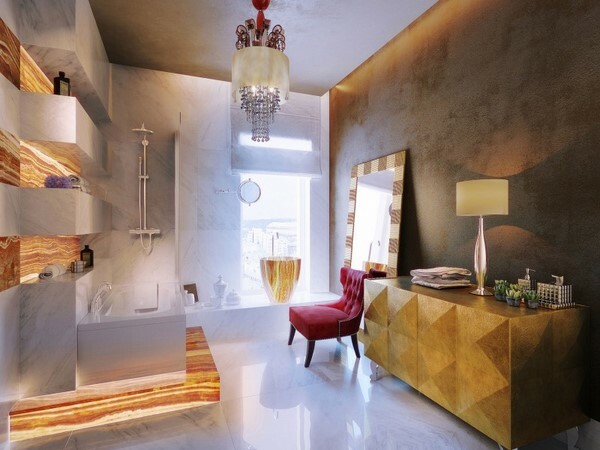 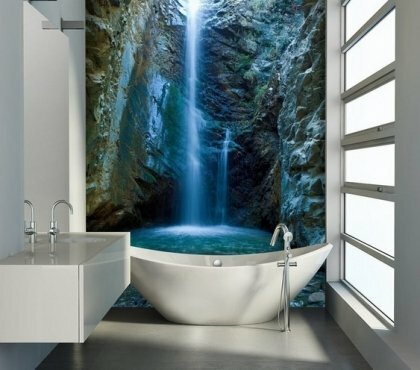 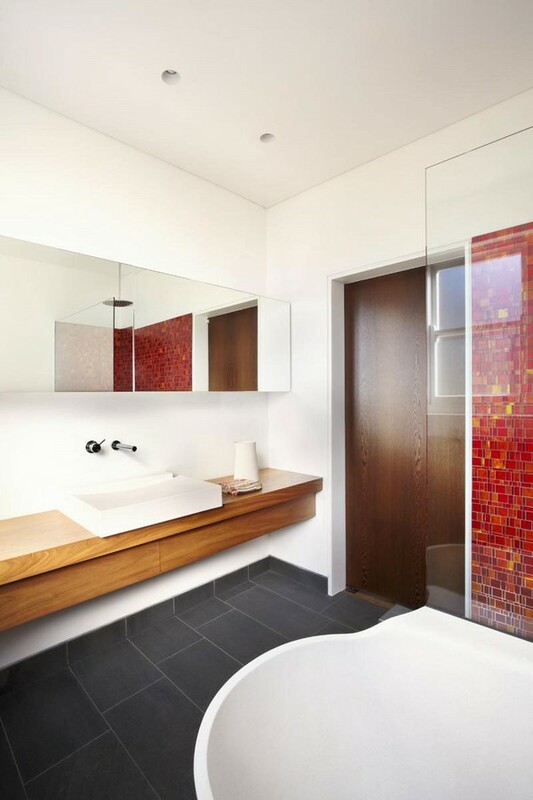 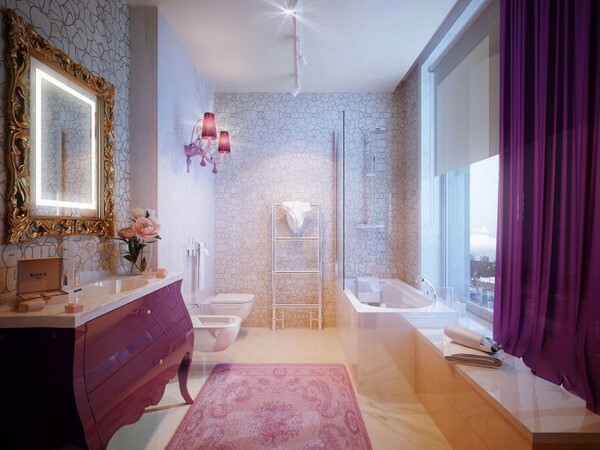 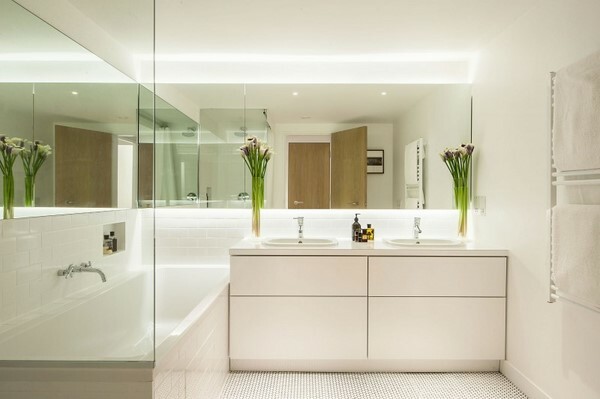 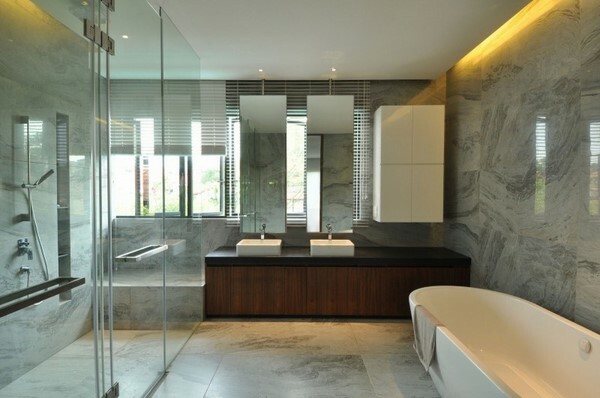 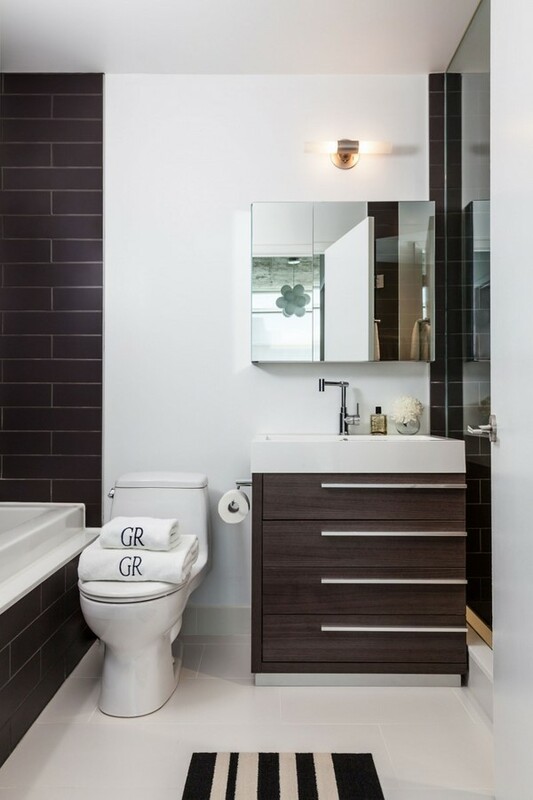 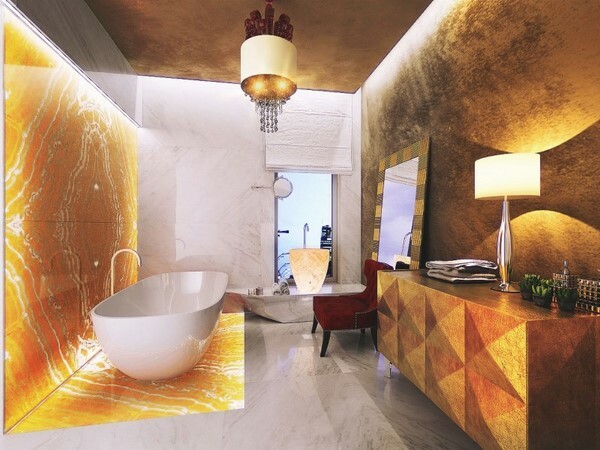 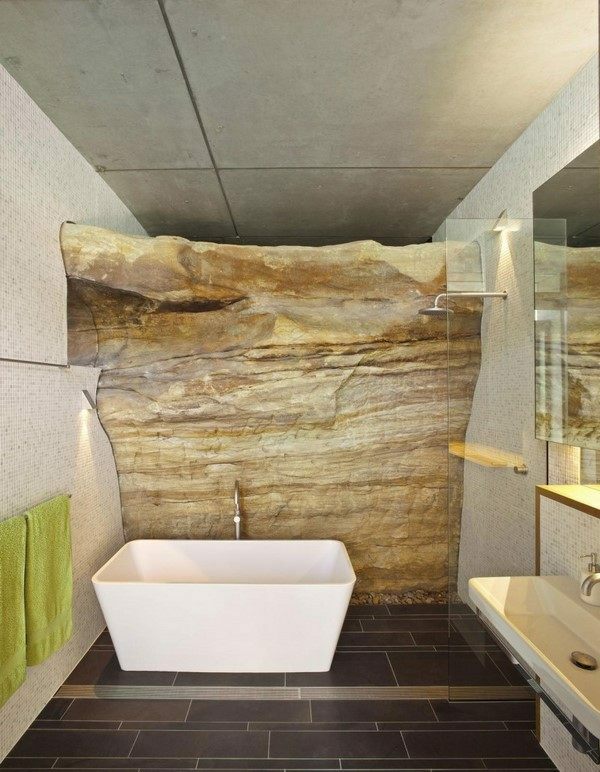 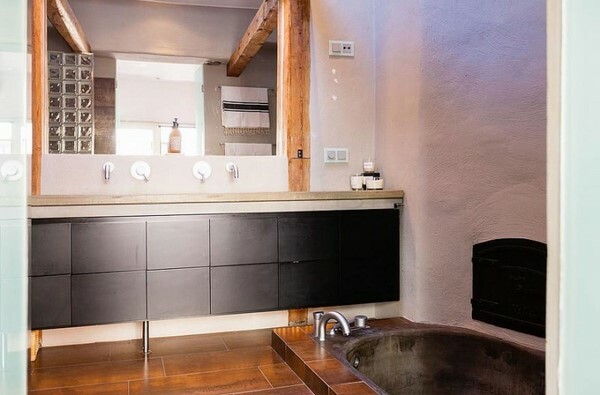 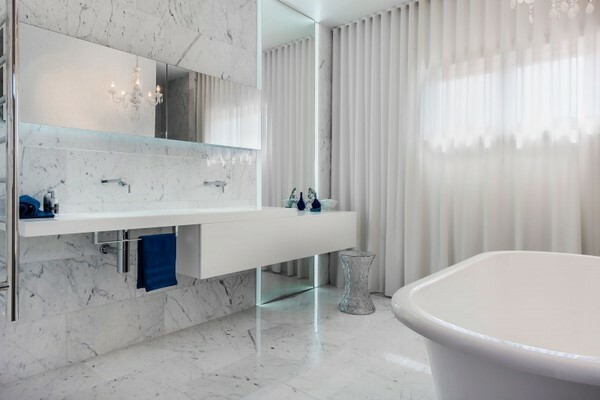 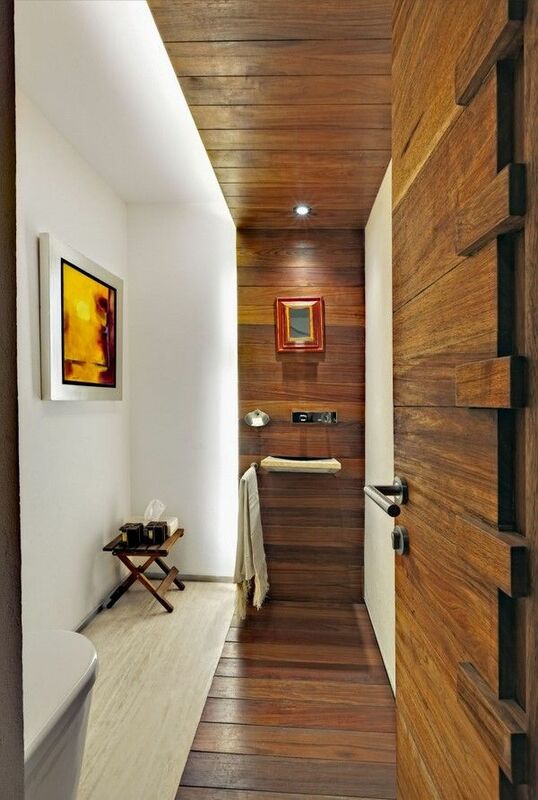 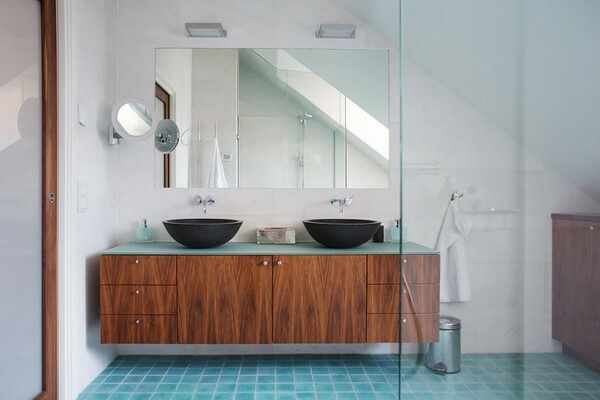 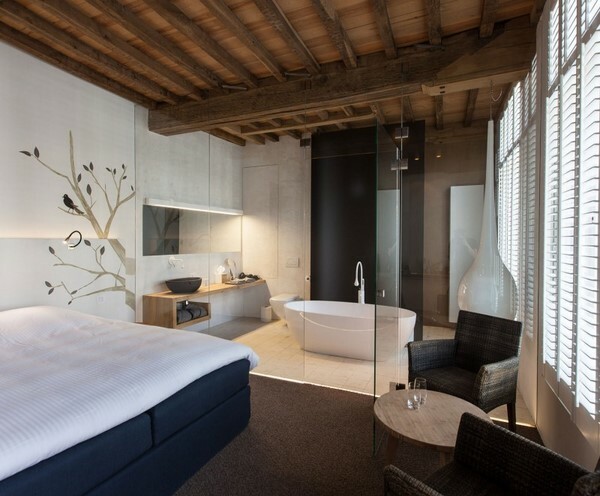 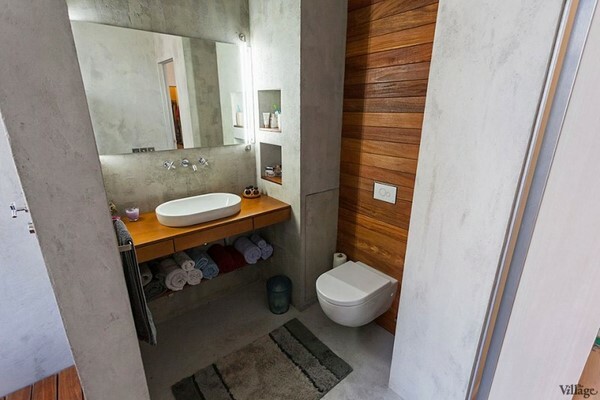 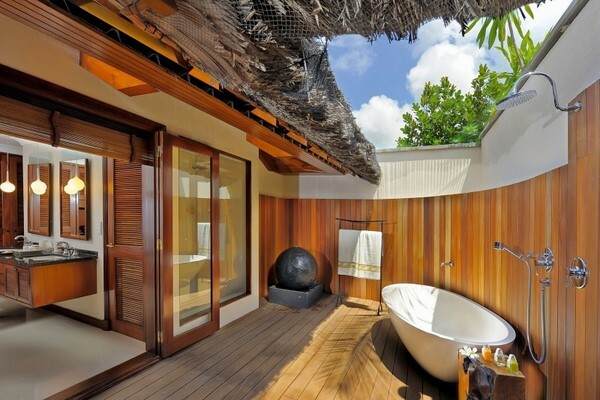 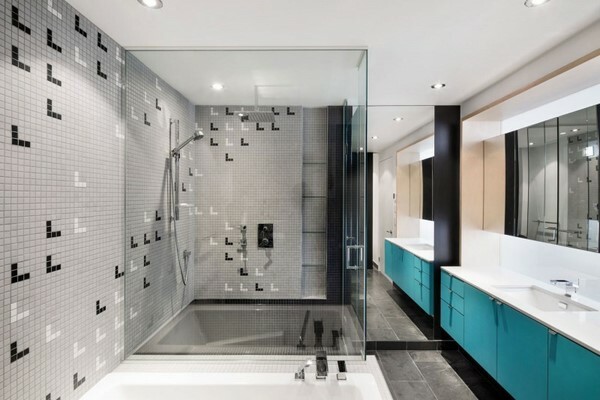 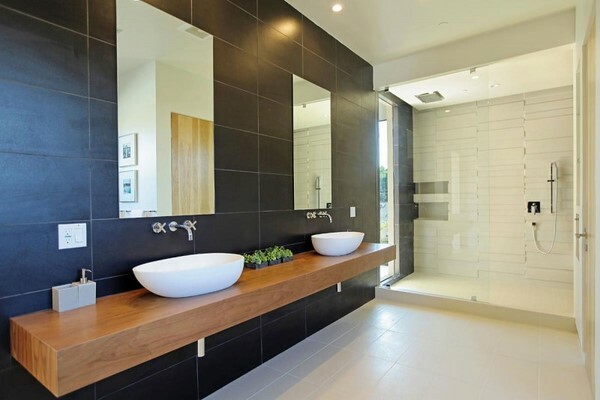 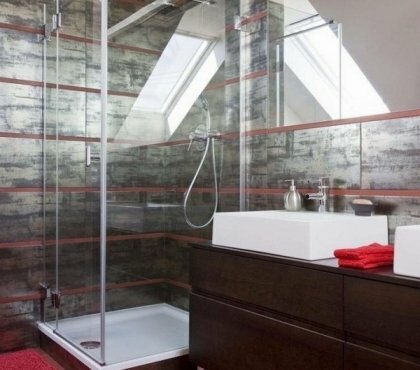 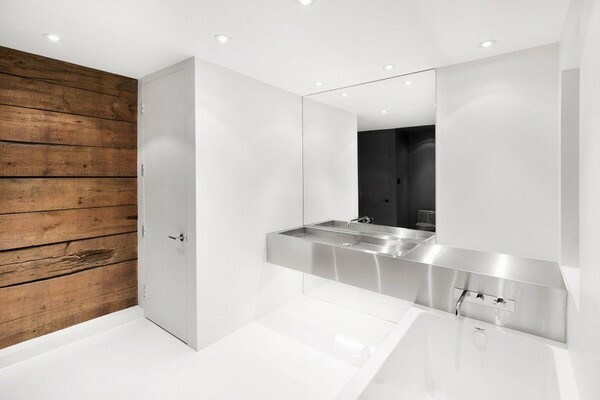 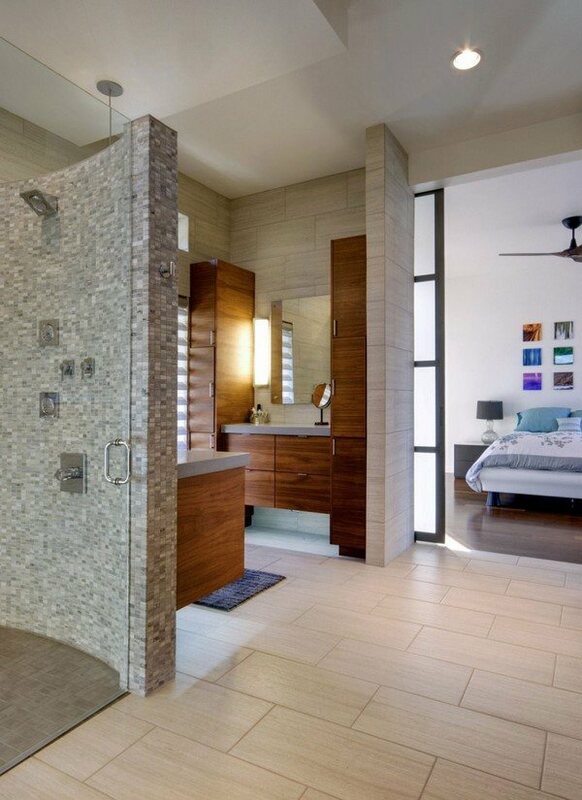 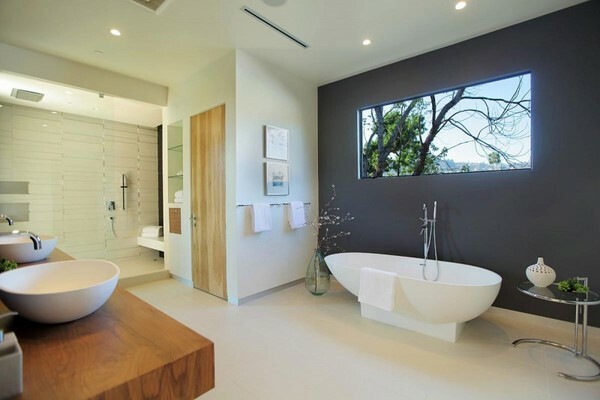 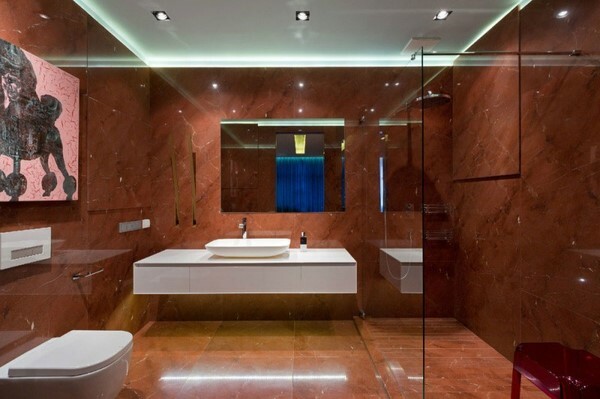 Check out these stunning bathroom design ideas and get inspired for your planning.